Pension fund managers are starting to see sexual harassment as a material risk to their investments, and they’re going to be asking more questions. AP2, a $38.5 billion Swedish state pension fund, is considering ways to evaluate private equity firms on their policies around the issue, making it one of the biggest international investors putting sexual misconduct on its radar for due diligence. 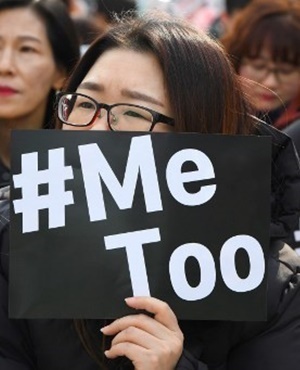 Earlier this year, the $350 billion California Public Employees’ Retirement System updated its governance policies to urge companies to disclose more about sexual-harassment settlements and their preventative policies. “We want to ensure that the companies we invest in have the best competence,” Eva Halvarsson, chief executive of AP2 told Bloomberg at the Gender Smart Investing Conference in London last week. AP2, like many socially responsible funds, already evaluates managers on gender diversity. But the process of assessing the risks that manifest if a given culture tolerates - or simply ignores -- sexual harassment is harder. Halvarsson said AP2 was still grappling with how to go about incorporating these questions. For the first time this year, a trade association of “due diligence professionals” asked its members whether they were thinking about the risks posed by sexual misconduct. About 11% of survey respondents said they’ve started questioning prospective fund managers about sexual harassment. The trade group, the Investment Management Due Diligence Association, recommended investors look carefully at human resources processes, departures and a manager’s use of non-disclosure agreements. The Institutional Limited Partners Association, the leading private equity trade group, is also considering guidelines to steer investors’ approach to these issues. “If you had asked people five years ago is sexual harassment material, they would have said, "It’s a compliance issue, it’s not that big a deal to us,”’ said Suzanne Biegel, founder of Catalyst at Large, a U.S. investment firm that focuses on gender issues.